As both the Alternative for Sweden (AfS) and the Sweden Democrats (SD)are expected to punch above their weight in the upcoming elections, the deliberate removal of their content has been seen as tampering with its outcome. The mass removal of video content by two of Sweden's most right-wing parties by Google-owned YouTube has prompted politicians and ordinary Swedes alike into accusations of censorship and election meddling. The newly-founded Alternative for Sweden (AfS) party, who's had its channel deleted and restored by YouTube, has had numerous videos of election meetings with voters made unavailable for viewing in Sweden. "Utter scandal! With only 13 days remaining until election day, YouTube is on the offensive again censoring all AfS videos," the party said in a tweet. AfS leader Gustav Kasselstrand has blamed the removal of the entire election tour coverage on the establishment, which, he claimed, "will stop at nothing to stop us from entering parliament." "Probably, due to mass reports by left-wing extremist trolls," Gustav Kasselstrand explained the removal to the outlet Nyheter Idag. In another instance of perceived censorship, an instructive video on how to fill in a ballot for the Alternative for Sweden was also removed, prompting angry reactions from Swedish Twitter users, ranging from "bananas" to "totally f**ing sick." — Sofia Arkestål Eriksson (@spfoia) 29 августа 2018 г. ​"It is unacceptable for a private company to dictate what the Swedish people can and cannot see. Ban censorship on social media now!" Per Sefastsson of the AfS tweeted. Oacceptabelt att ett privat företag tillåts diktera vad svenska folket får och inte får se. — Per Sefastsson (AfS) (@PerSefastsson) 29 августа 2018 г. ​The AfS bills itself as "the anti-establishment party" and is pushing to "drain the media swamp" by shutting down state-owned broadcaster SVT. 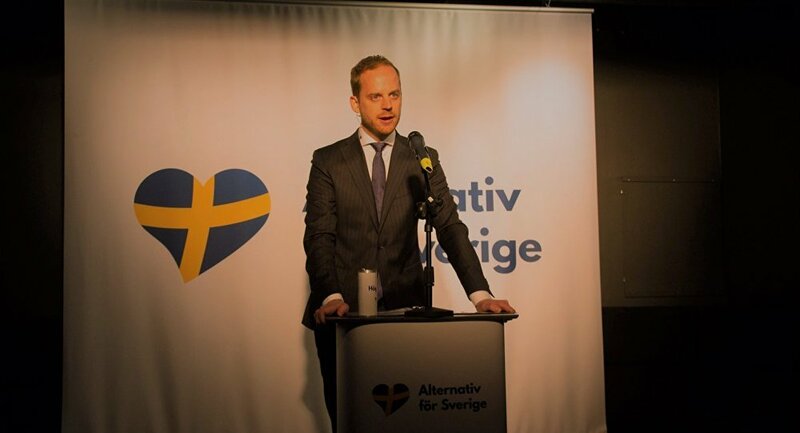 The AfS, founded earlier this year by maverick Sweden Democrats as a more radical version of their old party, is expected to account for the steep hike in the category "other parties" in numerous surveys ahead of the election. Kasselstrand described the party as "knocking on the parliamentary threshold." The Sweden Democrats themselves are also not strangers to YouTube removing their content. Earlier this month, an SD-produced 40-minute video about the Nazi past of the Social Democrats, Sweden's leading party, was deleted without explanation, after gathering over 190,000 views. — Sverigedemokraterna (@sdriks) 2 августа 2018 г. ​Furthermore, a report by SD member Kent Ekeroth featuring ordinary Swedes' takes on immigration published by the Samhällsnytt news outlet was removed by YouTube as well. Less than two weeks before the election, the Sweden Democrats polled their highest ever figures, 19.2 percent in a survey conducted by Sifo. Yet another instance is "Make It Right," a satirical video ridiculing Sweden's top leaders, such as Social Democrat Prime Minister Stefan Löfven, and the nation's penchant for overwhelming political correctness in general. It was removed "within hours" of its publication, just as its creators predicted. The animated film included soundbites by numerous politicians and made fun of their obsession with "doing the right thing." Although YouTube removed the video as "hate rhetoric," it has since been re-uploaded to other sources. The deletions all occurred after the Swedish government-backed corporate media group Bonnier, which runs the country's main dailies Dagens Nyheter, Expressen and Dagens Industri, as well as commercial network TV4, met with Google and demanded they remove "hateful" content.